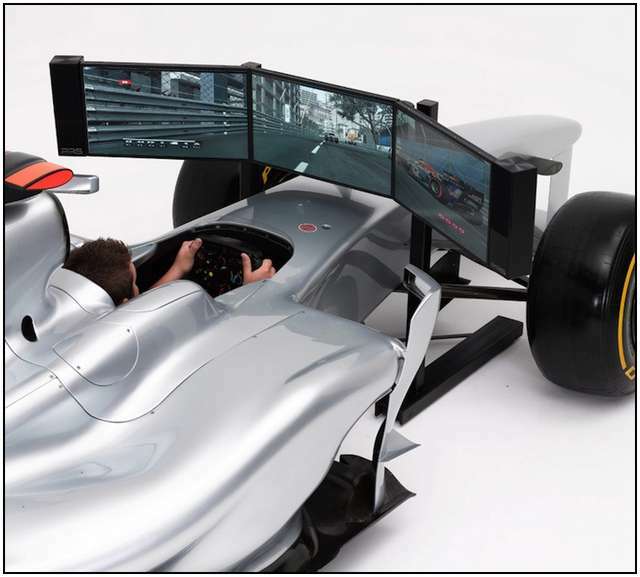 As for the actual gaming part, the F1 car shaped simulator comes with 3 super slim (8 mm) thick 23” TFT screens mounted to an adjustable frame. 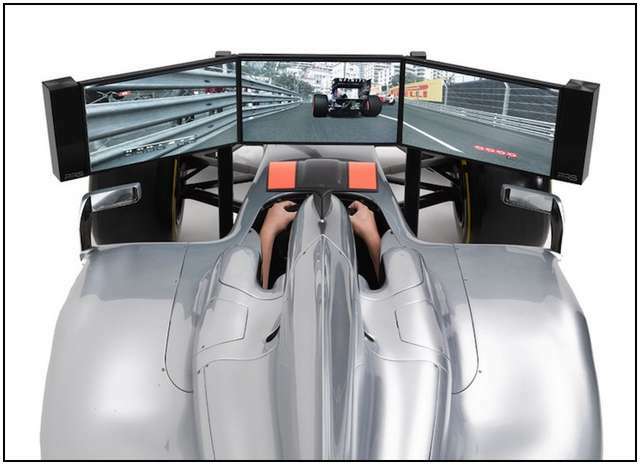 For realistic sound, the racing simulator comes with a 5.1 digital surround sound speaker system, there are a bunch of speakers placed inside the cockpit, and a sub-woofer is placed right behind the driver’s seat. The simulator comes with a custom made, high end PC featuring an Intel Core i7 processor, an SSD drive for superior load times, a triple head graphics card for multiple displays, a whopping 16gigs of ram, and a 1200W power supply to keep it all running and a wireless mouse and keyboard. 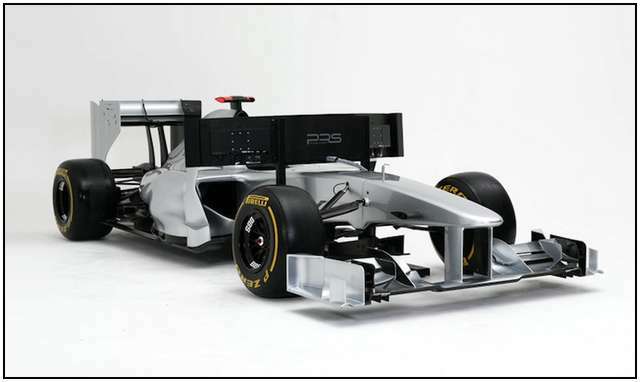 The full size Formula 1 racing simulator for video games is available at Costco UK and it can be painted in red, black, or silver exterior colors. 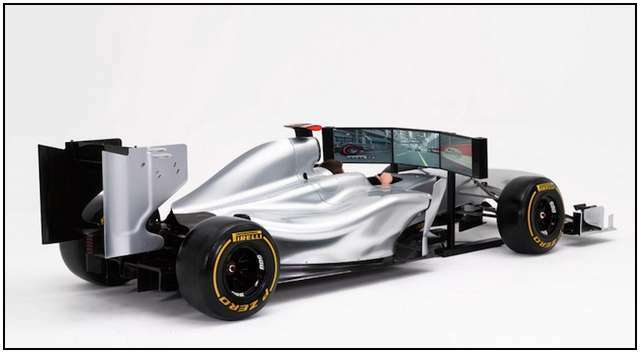 The F1 game simulator is pretty cool but is out of the reach of many/most video game fans and even if it was affordable, I have a hard time imaging playing for hours in such a cramped space because when I used to play racing games, I’d play for many hours. Sitting in a small space like this would be quite painful but I still want one.